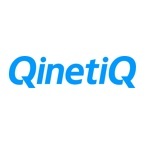 QinetiQ is a British multinational defence technology company headquartered in the United Kingdom. It is the world's 52nd-largest defence contractor measured by 2011 defence revenues, and the sixth-largest based in the UK. It is the part of the former UK government agency, Defence Evaluation and Research Agency (DERA), privatised in June 2001, with the remainder of DERA renamed Dstl. It has major sites at Farnborough, Hampshire, MoD Boscombe Down, Wiltshire, and Malvern, Worcestershire, former DERA sites. It has made numerous acquisitions, primarily of United States-based companies.